​​​​​​​EDINBURG – Denimburg, an ultra-automated factory, is on its way to becoming the largest denim manufacturer in the United States. The property sits on 34 acres with its own $5 million wastewater treatment plant in north Edinburg. Denimburg began commercial production in 2016, after several years spent constructing and installing the massive European robotic equipment with touch control screens. 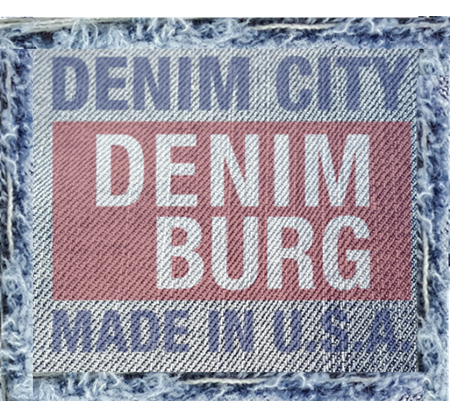 When Denimburg reaches full production capacity in the late spring, it will be producing 1.2 million yards of denim per month and have 160 employees. Denimburg anticipates producing 11 million yards of denim in 2017. Using only American cotton (primarily Texas cotton), the fabric carries "Made in USA" labels at a time when American-made textiles have almost disappeared. Rising wages in China have reduced the appeal of Asian production. The cachet of the American label is a major asset, but changes in the fashion supply chain are also propelling Denimburg's growth. Speeding fashion trends to market requires a short supply chain, and quality American denim, sewn into apparel in the Americas, shortens the turnaround time considerably. Denimburg takes orders for delivery in 30 days. Mexican apparel plants have been the primary customers for the Made in USA denim. "Mexican clients really like our denim," Claudio Motta, plant manager said.